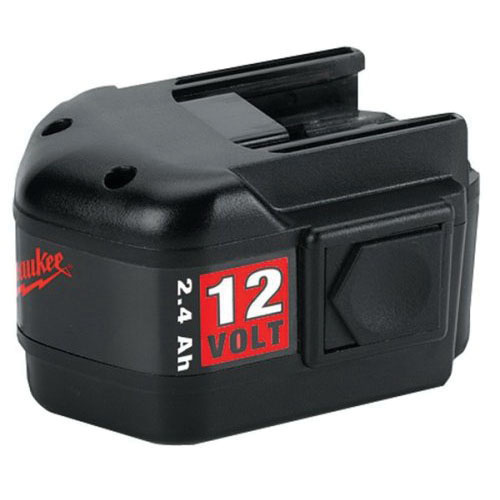 Milwaukee Tool Slide on style battery pack in red/black color, is compatible with Milwaukee Tool 12-Volt nickel-cadmium cordless tools. The rechargeable, nickel-cadmium battery pack has a nominal capacity of 2.4-Amp-Hours and a nominal voltage rating of 12-Volts. It features a polycarbonate case. This battery pack offers longer run times causing less interruption while working. The reversible battery pack provides long lasting performance. It adjusts the balance of the tools for added comfort and productivity.